The first year of Inner Strength Medical QiGong focuses on foundational skills needed to progress into the following years work of MMQ and DMQ work. Students are first taught Medical Qigong exercises to heal their bodies, calm and ground their minds, and reconnect with their spirit. 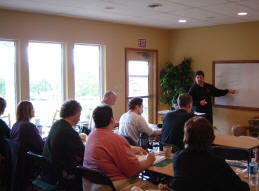 Students then go on to learn the basic Medical Qigong treatment protocols for working with clients. As the program progresses, students learn more advanced theories of energy purgation, tonification, regulation and cultivation, as well as advanced theories and modalities of internal organ treatment The diversity of this course allows the student to eventually work in many fields, not limited to healthcare of their fellow man but with animals as well. 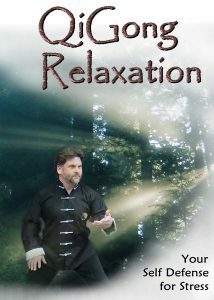 The foundations of ancient Taoist thought (ZouYou specialty) processes are learned as meditative resources. Unique to this course, these thought process work in direct opposite to deductive thinking, and enhance the students ability to understand the workings of qi and the body. Graduates are tested and all conditions of program completed in order to receive their diploma. The Medical QiGong Therapist certification provides the clinician with the ability to create a practice of energy medicine that allows them to recognize basic energy imbalance and provide basic tonification qigong treatments to clients. This course also provides safe practices for the clinician to build their own qi, for self protection, health and balance. Tongue diagnosis, pulse diagnoses Wei Qi diagnoses are all part of the curriculum and will be used conjunctively with Classical Chinese Medicine (not necessarily 5-Element theory). The student will come up with treatment plans specific to correcting the underlying energetic pathologic imbalance leading to disease. Clinic time using these processes is a huge part of the development of learning to run your own business and being able to operate independently. Attend each class session for 1 year, complete the at home self development practice and pass all testing for this certification. There are no prerequisites for this course. However we highly recommend that the student have taken our Medical Qigong for Self Health course that introduces the student to qigong concepts and exercises that they can begin to strength and tonify their own qi. Class size in limited in order for there to be quality dissemination of information and personal guidance to each student. All classes have mandatory attendance with this intensive program. If a student misses class days, he/she must schedule private training with Dr. Cibik within three months of the missed class, at an additional cost not covered by tuition. Any missed classes in one-year without makeup, the student is put on probation with the possibility of expulsion without refund. The Medical Qigong Therapist Certification will be awarded after the completion of the of training, passing grades on written and oral practical exams, case studies submitted and all financial obligations met. Exams are including the the last 1/2 day of the final course, but if the student wishes to study, return and take the final at a later date, there is a cost of $200 for testing. A deposit of $1000 is required upon program registration and the balance due at the start of the first class date. Inner Strength accept cash or check payment. Tuition is non-refundable once the course has begun. Books suggested for the course will be listed during your first class session. Additionally, a college level course of Anatomy and Physiology may be required based on the students background. Classroom supplies and books are not included in the tuition. This year we are offering some excite BONUS MATERIALS to our Medical Qigong Therapist students. Are you interested in attending this program but unable to pay the tuition in full by Oct 5? We are now accepting Credit Card payments through Paypal.